There is no shortage today of comic book movies. The universes of Marvel and DC rule at the box office. Don’t worry if you miss one, there’ll be a sequel around in no time and a couple of years later almost certainly a rebirth with a new set of filmmakers and actors. Back in the mists of time – 2000 – that wasn’t the case. There were some around, sure, but box office success was far from guaranteed and more failed than succeeded, even amongst the high profile ones. It was perhaps Bryan Singer’s X-Men that changed the tide – Sam Raimi’s Spider-Man followed a couple of years later and one thing led to another. One thing that has changed beyond recognition since 2000 is the musical approach to these films. 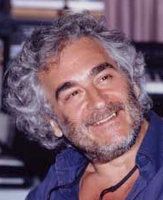 When Michael Kamen wrote X-Men, the template people generally expected him to follow was the Elfman-then-Goldenthal style of the Burton and Schumacher Batman films. He didn’t, and there was a considerable backlash against his music at the time. Since then we have seen Iron Man, Batman Begins, Captain America: The Winter Soldier and so on – and it’s interesting to revisit Kamen’s X-Men in that context to see if a reappraisal is in order (not that I appraised it particularly negatively anyway – but lots of people did). To say that Kamen was not director Singer’s first choice to score the movie would be an understatement of considerable proportions. Reportedly the composer was hired by producer Richard Donner – Kamen’s old mate – very much against Singer’s wishes. (John Ottman would have scored the film but was unavailable.) On the scoring stage, there were reports of fierce disagreements between Singer on one side and Kamen and Lauren Shuler-Donner on the other, with Kamen reportedly being forced to scrap parts of his score – and a considerable amount of thematic content – and rewrite it on the spot with Singer unwilling to accept such a dynamic musical presence as Kamen had originally written. In any case, the final score turned out to be easily the best for any of Singer’s movies to date, regardless of the difficult circumstances under which it came to be. I suspect that many people who dismissed it back in 2000 would be surprised by how impressive it is were they to return to it now. The album opens with “Death Camp”, a blisteringly dark piece of drama based around an instantly-recognisable Kamen melody (he is one of those film composers with such a strong personal style, always present in his music). It’s an especially powerful and impressive opening. In “Ambush”, the dark mood generally continues – though there is a break from it for a glorious romantic theme – and here the orchestra is joined by some fairly avant garde electronics. The highlight of the piece is the frantic action which dominates its final minute or two, thunderous and breathlessly exciting. “Mutant School” sees the signature Kamen rhythmic pattern (heard in all of his scores) blossom into an expressive, exuberant little passage of music, but that is quickly put into contrast with another darker section, a pulsating synth note emanating danger over brooding, murky strings. “Magneto’s Lair” opens with a clever manipulated string sound, immediately evoking a kind of electrical energy, building once again into a terrific sequence of orchestral action before a showcase of Kamen’s brilliant theme for Magneto, full of considerable menace and building to a truly frenzied conclusion. “Cerebro” opens with a genuinely unsettling sequence complete with a whispered vocal effect which is judged to perfection but from this the most heroic section of the score so far bursts forth. “Train” is a brilliantly dense piece of Goldenthal-esque orchestral and electronic action – it’s not difficult to detect the fingerprints of orchestrator Robert Elhai. “Magneto Stand Off” continues the action, but this time the musical strokes are broader. “The X-Jet” is a standout piece, orchestral thrills gradually building over an energetic electronic percussive backdrop; it’s a shame Kamen wasn’t given the chance to develop the theme he builds this piece around because it makes a terrific theme for the X-Men that could have been used throughout the franchise, had the filmmakers been so inclined (which they wouldn’t have been, of course). In fact it’s not even Kamen’s main theme for the characters, which is heard as the basis of “Museum Fight” – a brilliant piece of melodic action scoring. The action continues into “The Statue of Liberty”, another frenetic piece, this time electronics coming more to the fore but as usual it is the depth of the orchestral material which is most impressive; then things reach their climax in “Final Showdown”, perhaps the best action cue of all, another incredibly dynamic little action motif being used as the primary building material. The disc concludes with the beautiful “Logan and Rogue”, featuring a gorgeous melody so full of heart. Perhaps it’s just knowing what I now know about the direction music for this type of film has taken in the years since, but I can’t help but wonder if I was crazy when I was initially somewhat lukewarm towards it. And most people were considerably more dismissive even than me – in particular disappointment seemed to centre around the use of electronics, which seems particularly odd now given how tame it sounds in comparison with what was to follow. Exploring the score reveals it has surprising depth – including a surprising thematic depth, with Kamen taking an unheralded leitmotivic approach to the score – motifs, sometimes just tiny little fragments, are heard throughout the album in different guises. It’s very well-written music, dark for sure but not without its expressions of heroism as well. X-Men is a fine album, one long overdue a popular reassessment. I was just listening to this a few weeks ago. I’ve always liked it, yet I can honestly say that this is one of the few score albums where the listening experience continually improves upon subsequent revisits. It’s so accomplished, so brilliantly nuanced. I love everything about it, from the harsh electronics (which I think are a perfect complement to the film) to the heartfelt melodic content. And the Slavic-sounding theme for Mystique was a stroke of genius. I’d probably go so far as to say it’s my favorite work of Kamen’s. So, I’m glad you took the time to reevaluate it, and now have a fonder opinion of it, James. 🙂 I hope your review will stir up some interest in it again. Such an overlooked score. This is one of my favorites by Kamen. I’ve never grown fond of his Die Hard or Lethal Weapon sounds, so this is up there with Robin Hood, Musketeers, Highlander and probably above the Gilliam scores in my Kamen canon. Although I like his concertos and such more than I like most of his film scores. I live in constant hope that some day we’ll get a deluxe presentation of this score with both the AHITF and the as-originally-conceived versions. This is one score I’d like to see expanded because most of this CD doesn’t appear in the movie at all. Most of the electronics are added in on this release and most of the action tracks in the Statue of Liberty were replaced with stuff a lot tamer. Mystique cello “theme” plays a much bigger part in the actual score, and just like Batman Begins, the score CD would have been 10x better if it had the End Credits recording instead of a couple of other pieces. Does anyone know how large the orchestra was for this? I swear that some of the ST:TNG scores had more players than Michael Kamen had for this. Does anyone know? If you didn’t know yet, a July 2000 LA Times article said that Kamen’s X-Men sessions utilized 90 musicians. Thank you. Is it just me, or does Michael Kamen have an ability to shrink an orchestra (and not in a good way)? My biggest gripe about him is that while someone like Jerry Goldsmith or Brian Tyler (just two names out of a hat, there are more) can make a 90 piece orchestra sound like there’s 150 player, most of the Michael Kamen work that I have, including Band of Brothers and his classical work “The New Moon in the Old Moon’s Arms) seem to shrink that to a chamber orchestra.